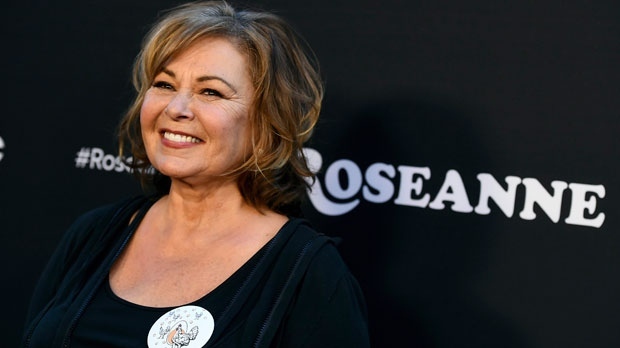 TEL AVIV, Israel -- Comedian and divisive former television star Roseanne Barr says her sitcom was cancelled last year because of backlash against her support for Israel. Barr spoke Monday at an event in Tel Aviv and said she had been "BDS-ed" by television network ABC. BDS refers to a Palestinian-led movement calling for boycott, divestment and sanctions of Israel. ABC cancelled its reboot of "Roseanne" last May after Barr tweeted racist remarks about former Obama administration adviser Valerie Jarrett. Barr was in Israel for a four-day visit organized by celebrity Rabbi Shmuley Boteach. She railed against Hollywood liberals, defended her support for President Donald Trump, and admitted to trolling her critics online with various fake accounts. Barr said she has "witnessed horrific anti-Semitism and I'm just here to defend the Jewish people."